If your time is extremely limited, a One-Time Workshop may be the key to jumpstart your personal journey. My goal is always to help my clients live healthier by design, and that absolutely includes helping you find pain points in your life to tackle. You’re like millions of people that shop every week, pushing your cart through your local supermarket on autopilot, reaching for the same items again, and again. My workshop will teach you the easy aisle-by-aisle grocery guide to fill your cart with healthier items for you and your family. Discover how you can eat more food, lose weight, look younger, and balance your hormones in just 30 days without ever feeling deprived or restricted again. Join me for a 1-time lesson to jumpstart your journey into a healthier lifestyle. 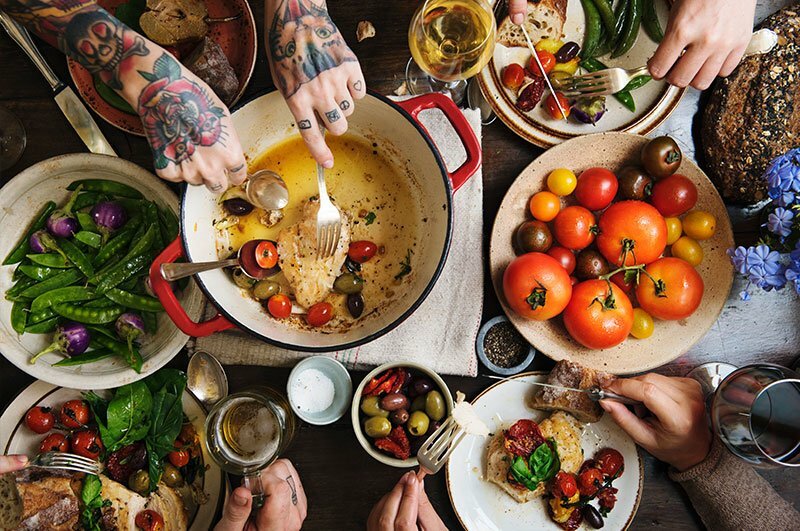 Hosting a tasting party will teach you and your guests the simple recipes and healthy food secrets that can turn your home into a gourmet kitchen! We show you how to cook! Both the Host and Theresa develop the meal plan options. You will learn: How to make simple meals that are easy to prepare, healthy and taste great, how to eat real food, how to make healthy cooking fast, how to fight your taste buds, how to cut your salt and not your flavor, how to fit your cooking to your taste and lifestyle, how to cook great tasting meals for the Diabetic. Learn about the contents of your food to commit to a healthier life that allows positive energy and good things to come your way. When you feel good, positive energy follows and amazing things happen to you! Ramp up your metabolism, support your cardiovascular system, and start living healthier by design today. Learn how to prepare family favorites like macaroni and cheese or fried chicken the healthier way, and yes, even your favorite desserts too! I will teach you how to turn comfort food into healthy food without losing the flavor. You can also design a menu to make the goods you love- only healthier. Parties are free for the host, but $20 per person for 8-15 guests total. Additional charges may be added on depending on the location. 3 meals and 1 dessert are prepared. Work with me to plan the meals for your taste-testing party!